Home Destinations Fancy a Pedal in Portugal? 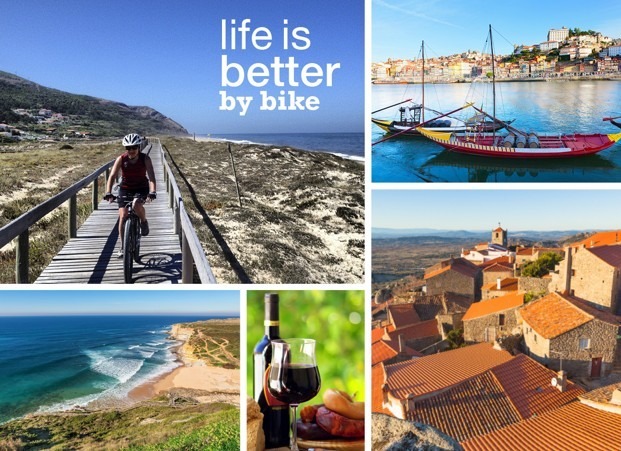 Fancy a Pedal in Portugal? In the North, our brand new Port and Wine holiday explores the delightful Duoro river during our journey of traditional port production, from the vineyard to the glass! For more traditional flavours we recommend Historic Villages and Villages of Alentejo, both trips head deep into the heart of rural Portugal, a land of rolling countryside and stunning medieval villages. Or, if you would prefer to head to the coast, you won’t want to miss our Azure Ocean Ride, where you can end your daily rides with a dip in the sea and a tasty fresh fish dish!